Matthew was only 11 months old when he was found unresponsive after an accidental drowning in the family’s home. Ana, Matthew’s mother, was at work supporting her family while her now-estranged husband was home caring for their children. He allegedly fell asleep while Matthew found his way to an unguarded bucket of filled water balloons. Curiosity got the best of Matthew and he ended up face down at the bottom of the bucket with no way of escape. With Matthew’s birth father suddenly out of the picture, Ana was left alone to fight not only for the life and health of sweet Matthew but their four other children, as well. With five incredible kids depending on Ana, she got to work putting her family’s life back on track. 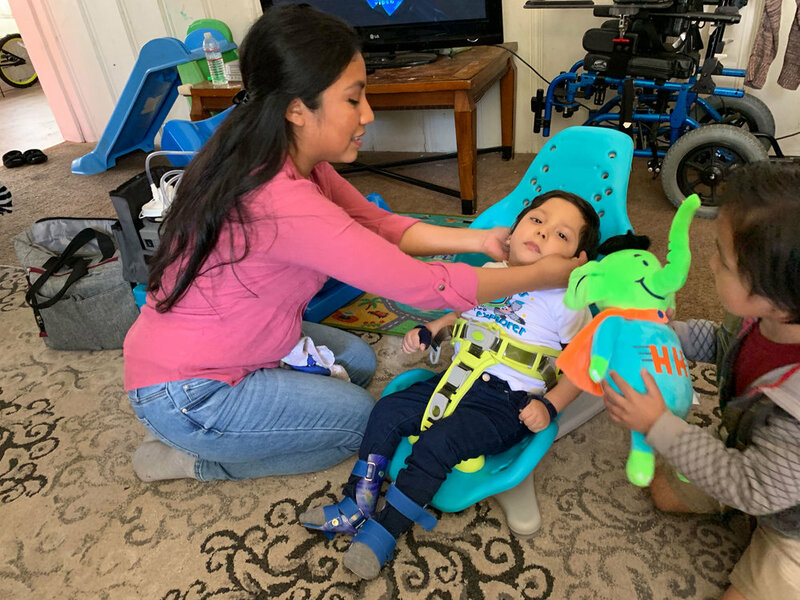 Matthew’s mother Ana looks on as her son Max gives his little brother a kiss on the forehead while seated in the new Tumbleforms chair. We understand the high financial demands of a severely impaired child like Matthew, which includes a seemingly endless stream of therapy equipment. Thanks to all the generous donors we’ve had this past year, Holton’s Heroes was able to supply Matthew with some incredible items for home use. 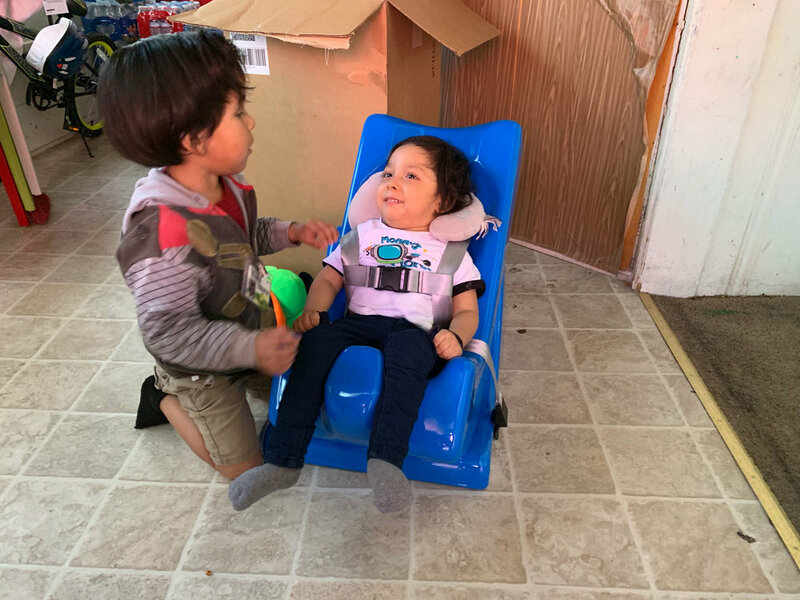 Matthew received a blue Tumbleforms chair so he can comfortably join his family in any room in the house. Matthew also received a special waterproof bathchair called Splashy that is portable and doubles as a great chair for the beach or at the park! Additionally, Matthew received a brand new special needs stroller to help his mother with travel him. We couldn’t stop there though, as Matthew’s mother Ana was in dire need of some assistance, too. Holton’s Heroes supplied Ana with a brand new laptop computer so she can begin to properly track and record all of Matthew medical records and appointments. Ana was speechless when she received her new computer and told us it was the first one she’s ever owned. Ana holds her son Matthew. Matthew sits in his new Tumbleforms Deluxe Sitter. Ana positions Matthew in his new multi-use bath chari with Max nearby to assist. Max looks over his brother Matthew as he holds onto Holton the Elephant. 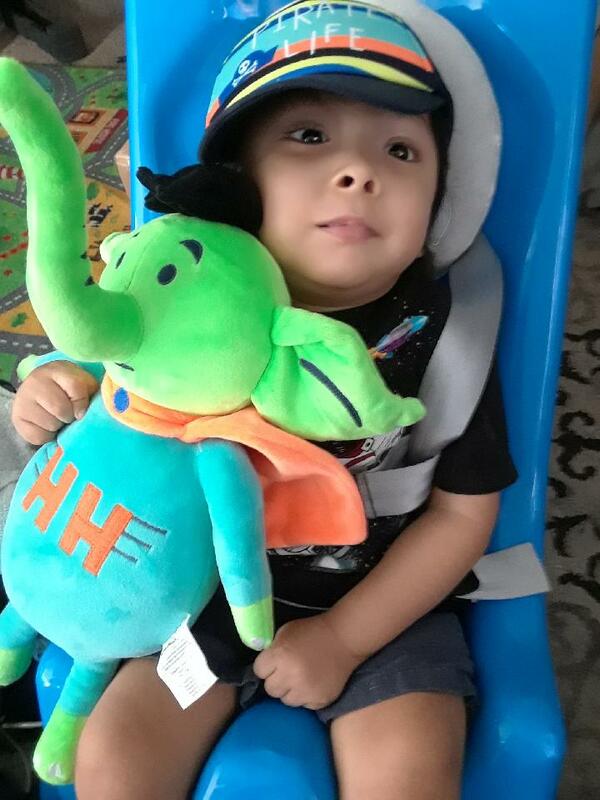 Matthew gets comfy in his brand new special needs stroller from Holton’s Heroes. Ana opening her new laptop for the first time! Max and his brother Matthew share a moment in the kitchen. Matthew poses with Holton’s Heroes founder Eric Weingrad and Holton the Elephant. 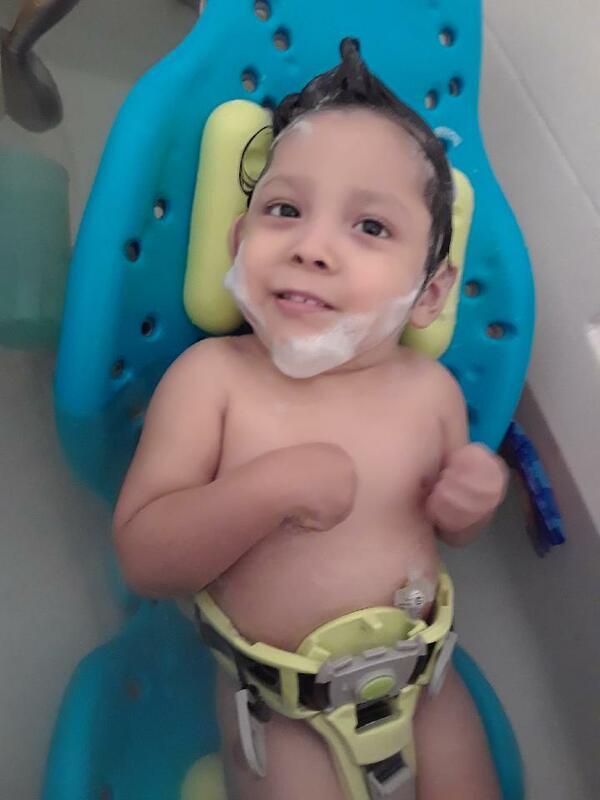 Matthew is looking clean in his new bath chair from Holton’s Heroes. And it works great on the grass! Matthew takes a snooze with his new best friend.